Training a Shih Tzu puppy can be easy, or very difficult, depending on how well you understand the dog in the first place. When you know how a dog learns then you can use this knowledge to cater your training towards the dog. It’s almost like speaking to your dog in his own language – one that he actually understands. When you start training a Shih Tzu puppy based on true understanding you will have a much better insight into your dog and your training sessions will become a great success. So where do you begin? Simply read on and we will show you. Any dog, but particularly a Shih Tzu, will learn best when he finds something in the lesson that will benefit him. A dog that is asked to learn whilst in an area of high distraction will most certainly see the distractions as his priority in the area. This will be even more important to him that what his owner is doing or what she is asking him to learn. • The Shih Tzu is at the park with his owner and being asked to learn to sit. The dog owner has never taught her dog to sit before and has not brought along any motivation or reward for the dog. The owner believes that the sit command is pretty easy for the dog to learn and sees no need for motivation. In the park there is also a boxer dog, a collie and a Labrador puppy. All three dogs are playing together and the Shih Tzu would like to go and play too. Do you think this dog is going to learn to sit? • The second scenario is the Shih Tzu at home. Happily snoozing on his bed, ready to interact with his owner at any point and with no other distractions in the area he can give her his full attention. The dog owner pulls out a treat and a toy making her the most interesting thing in the dog’s immediate area, she then proceeds to teach her Shih Tzu to sit. 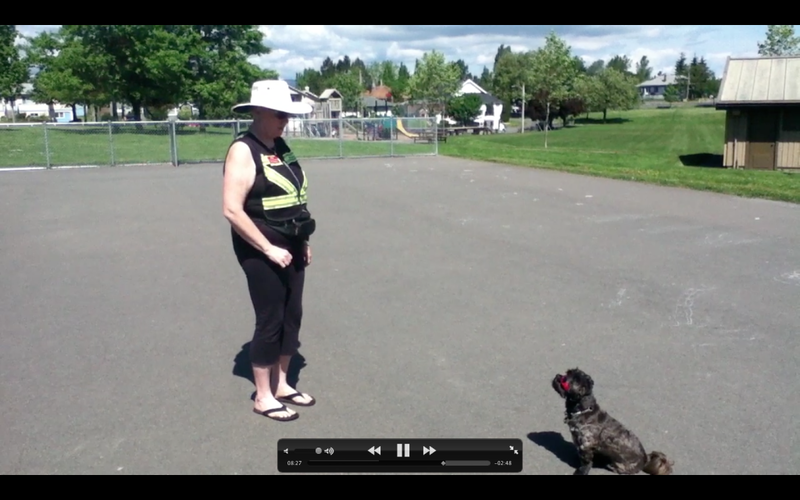 How do you think this Shih Tzu will respond to this training session? Now I would like you to try to see the world, in both of the previous scenarios, through the eyes of your dog. Then ask yourself, if you were the one being asked to learn something new, which you would prefer. Training a Shih Tzu puppy with success is achieved by putting yourself in the dog’s mind for a while. Remember that this little dog needs a good and suitable amount of motivation to see learning as worth his while. This need will multiply if you are asking him to learn whilst in an area full of things that he finds highly interesting. When you start training a Shih Tzu puppy it is vital to keep distractions low and motivation high. Then as he begins to learn you can add in distractions and start to practice at the park. Remember though that one of the most important parts of training a Shih Tzu puppy is to understand his unending need for suitable motivation. He’s far too clever and stubborn to learn without it. For more in-depth Shih Tzu training tips, techniques & secrets; sign up for our totally free newsletter below and get amazing tips sent directly to your inbox! Training a Shih Tzu puppy can be easy, or very difficult, depending on how well you understand the dog in the first place. When you know how a dog learns then you can use this knowledge to cater your training towards the dog.